Ticonderoga, N.Y. - Fort Ticonderoga will make a major announcement regarding the cultural destination&apos;s economic impact on the region and New York State on July 1 at 1pm at the Deborah Clarke Mars Education Center located at Fort Ticonderoga. The meeting will take place at 1pm. Call (518) 585-2821 or (518) 472-0060 for press pass or more details. Featured speakers at the major announcement will include New York State Senator Betty Little; Garry Douglas, President and CEO of the North Country Chamber of Commerce; James McKenna, President and CEO of the Regional Office of Sustainable Tourism; and Bill Grinnell, Ticonderoga Town Supervisor. Garrison, N.Y. - MANITOGA&apos;S Mid-Summer Music to feature premiere of composer Ben Neil&apos;s MANITOGA Ben Neill is a noted composer and performer and the inventor of the mutantrumpet, a hybrid electro-acoustic instrument. As a recipient of a 2014 New York State Council on the Arts Individual Artists grant, Neill will premiere Manitoga, for brass quintet and electronics on Saturday, July 26, 2014 5 - 7pm on the grounds of the composition&apos;s namesake. This event is free to Manitoga Members, $25 to the general public and $10 for children 15 and under. Reservations can be made on www.brownpapertickets.com. 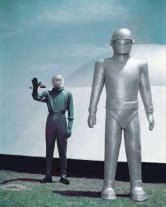 Rochester, N.Y. - The Thing from Another World, Batman, The Lord of the Rings, The Birds and even Howard the Duck and a robot named Gort are heading toward Rochester and the George Eastman House International Museum of Photography and Film this summer. Eastman House is also featuring the first part of a two-part film tribute to the late Philip Seymour Hoffman. Ticonderoga, N.Y. - Immerse yourself in the epic history and incredible natural beauty at Fort Ticonderoga with richly informative and entertaining guided specialty tours this summer. 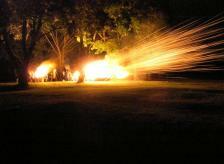 Thrill at the power of artillery during Guns by Night tour; discover the History Within the Walls in the 1826 Historic Pavilion house tour; walk in the steps of great generals during the Armchair General tour; and discover the legends of the past while taking part in the Garrison Ghost Tour. All prices are in addition to Fort Ticonderoga admission and advanced purchase is required. Space is limited for tours. 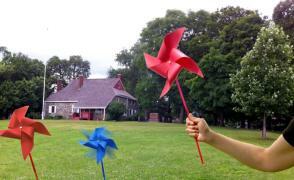 To learn more about our specialty tours visit www.fortticonderoga.org or call 518-585-2821. 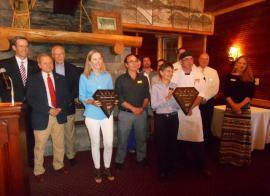 Lake Placid, N.Y. - At a presentation Thursday afternoon (June 19), AAA Northway President and CEO James Phelps presented Ed and Lisa Weibrecht, owners of Mirror Lake Inn Resort and Spa, with the prestigious AAA Four Diamond Award for the 30th year in a row. The time-honored property dates back to the 1920s. It is the second longest running AAA Four Diamond property in the entire state, behind just The Carlyle in Manhattan. In addition, The View Restaurant, located inside the hotel, collected the Four Diamond achievement for the seventh straight year. Poughkeepsie, N.Y. - New York Stage and Film and Vassar College, this summer celebrating the 30th year of their Powerhouse Theater collaboration, announced that Emmy® Award winner Kyra Sedgwick will lead the cast of Academy Award® and Tony® Award winner John Patrick Shanley&apos;s new play The Danish Widow, which will premiere July 16-27, 2014 at Hallie Flanagan-Davis Powerhouse Theater at Vassar College. Shanley also directs the cast which also includes multitalented Broadway vets Craig Bierko and Matt McGrath, as well as stage and screen actress Annika Boras. 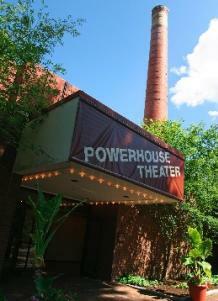 Visit http://powerhouse.vassar.edu for more info and to purchase tickets. Buffalo, N.Y. - Recognizing the need for curricular-relevant programming in their Educational Tour Experiences, Buffalo Tours has introduced a series of Tours that engage students on multiple-levels and (according to one educator) "turn the experience from factual to fun - without losing the facts!". In the Spring of 2014 Buffalo Tours began modifying its traditional Buffalo City Hall and Queen City Downtown Tours in order to provide more opportunities for Student Groups to interact with the history, the structures and with the Docents who lead the Tours. Ticonderoga, N.Y. - The Ticonderoga Area Chamber of Commerce is proud to announce that the 2014 Ticonderoga Area Farmers&apos; Market will begin on Saturday, July 5th from 10:00 AM to 1:00 PM. on Route 9N, Southwest of the Liberty Monument. Sponsored by the Ticonderoga Area Chamber of Commerce, AmeriCorps for the Adirondacks and Inter-Lakes Health, the market is a NYS Department of Agriculture and Markets FMNP (Farmers&apos; Market Nutrition Program) approved market accepting checks/coupons. Come Celebrate Washington&apos;s Headquarters 164th Birthday! 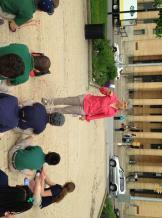 Newburgh, N.Y. - It&apos;s a double birthday celebration at Washington&apos;s Headquarters State Historic Site on July 4th. Our nation is 238 years old and Washington&apos;s Headquarters is 164, having become the first publicly owned historic site in this nation on July 4th, 1850. Come to our birthday celebrations and take a tour of the historic farmhouse used by General and Mrs. Washington as military headquarters during the last 16 ½ months of the Revolutionary War. Saratoga Springs, N.Y. - Jazz superstars and rising stars will converge at Saratoga Performing Arts Center this weekend for the Freihofer&apos;s Saratoga Jazz Festival, June 28 - 29. This two-day, two-stage celebration will feature best-selling, Grammy award-winning, top artists Earth, Wind, and Fire, Trombone Shorty, Terence Blanchard, Dave Holland Prism, Patti Austin, Jon Batiste & Stay Human, Eddie Palmieri Salsa Orchestra, Quinn Sullivan, Dr. Lonnie Smith, and Newport Jazz Festival®: Now 60, among many others.